I mentioned earlier that this was my year of weddings – I was invited to no fewer than 6 weddings this year. I felt all swimming with love and pomp and circumstance, heart-felt positivity. 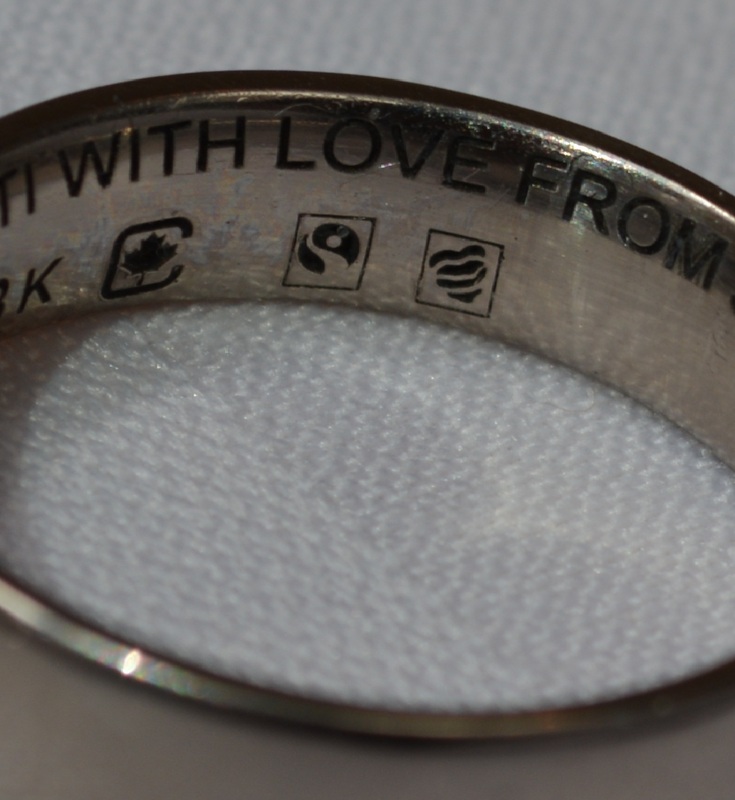 I was tickled to find that a certain groom was given a fair-trade certified and stamped wedding ring. I didn’t know that they even existed! In the ultimate symbol of love and fidelity, it’s triply meaningful for it to be stamped fair trade! This entry was posted in Fashion, Stephens Sister's Shopping Diet, Style-Diet Shot and tagged ethically-produced, fair trade, locally-made, organic clothes, re-purposed clothes, recycled clothes, rings, second-hand, Stephens Sister's Shopping Diet, Style-diet Shot, sustainable clothes, Thomas Jefferson, wedding ring on September 25, 2013 by Gurdeep Stephens.